When I retired, I could hardly wait to spend time enjoying my favorite pastime � fishing. A few weeks ago Sam and I had the best fishing trip ever. Not only did I catch the most beautiful fish you’ve ever seen, only a few minutes later Sam must have caught its twin brother! So I took a picture of Sam holding up the two nice fish that we caught and showed the picture to my wife, hoping that maybe she’d get interested. Instead she says she doesn’t want me to go fishing at all anymore! And she wants me to sell the boat! I think she just doesn’t like to see me enjoying myself. 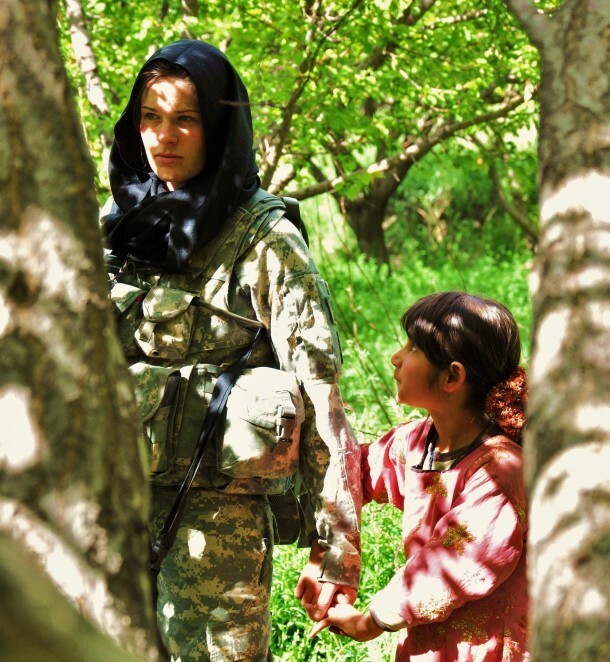 Young Afghan girl holds hands with a female American Soldier.